U.S. Congressional candidate Kevin Hern, a businessman of Tulsa, announced Tuesday he has signed the Term Limits Amendment pledge to support term limits for ALL members of Congress. 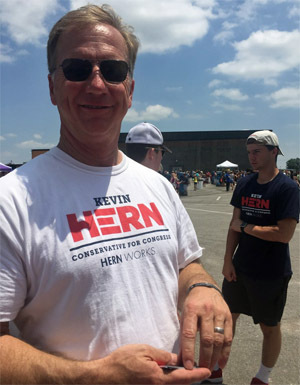 Hern is seeking the Republican nomination in a special election for Oklahoma’s First Congressional District after Representative Jim Bridenstine was nominated by President Trump to head NASA. 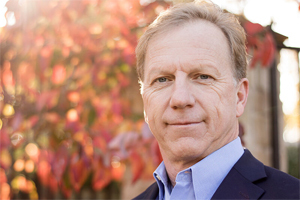 Tulsa Today notes that this pledge does not limit Kevin Hern’s term individually, but rather commits him, without reservation, to support a “term limits amendment.” The pledge focuses on an Amendment for all, but until then, seniority can grow as voters may return officials within Oklahoma’s delegation which is good for Oklahoma in building influence in Washington. “Washington is ineffective and broken. The big part of the problem in D.C. as Dr. Tom Coburn often says, ‘When we send someone to Washington and they get the best job they have ever had with the most money they’ve ever made and a pension they would not get in any other field – we are setting ourselves up for failure.’ We keep doing that all across the country and then wonder why things don’t ever change,” Hern said. As the owner of KTAK Corporation, Kevin leads the operations that own 10 McDonald’s restaurants that employ over 400 people in the Tulsa area. Kevin has served in various regional and national leadership positions within the McDonald’s Franchise System. Most recently, he served five years as the Chairman of the Systems Economic Team for over 3,000 franchisees that own all 15,000 restaurants across the entire country. To reach Kevin’s campaign, please visit http://www.HernforCongress.com or click here for a detailed Tulsa Today interview. This entry was posted in National on October 25, 2017 by admin.